Eyeliner is a must have in your makeup stash. What eyeliner do you love? Over the years I’ve used eyeliners as cheap as .99 to as much as $30. I felt like I could never find the right one until recently. I am always open to trying new products and when I’m in the department store and ask for recommendations based on my makeup needs I find the sales associates are spot on. So when an associate recently recommended the Lancome Le Crayon Khol eyeliner pencil I was happy to try it out and ended up loving it. If you’ve never tried a Khol eyeliner, these are my favorite and I highly recommend them. Lancome’s Le Crayon Khol goes on smoothly and the pencil is long and lasts awhile. The Lancome Le Crayon Khol is available in 9 different colors. With a price tag of $26 it’s a small investment compared to the .99 cent eyeliners, but well worth it given the quality. 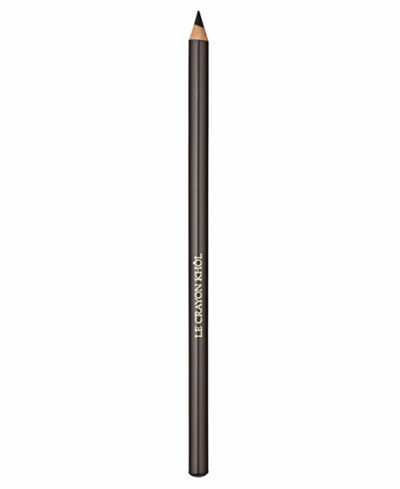 This smudgy, creamy-smooth eye pencil delivers a dose of decadent color that glides on effortlessly and blends beautifully. In an instant, eyes are perfectly lined, defined and contoured for a smoldering effect that’s absolutely irresistible.